This is a compact, robust, power connector designed for temporary, safe and efficient connection of unterminated cables to 250V AC or 24V DC power supplies. The Cliff™ QT1 has a maximum power rating of 13 amps* (see duty cycle, below). A neon light shows that the connector is live hot and ready to use. 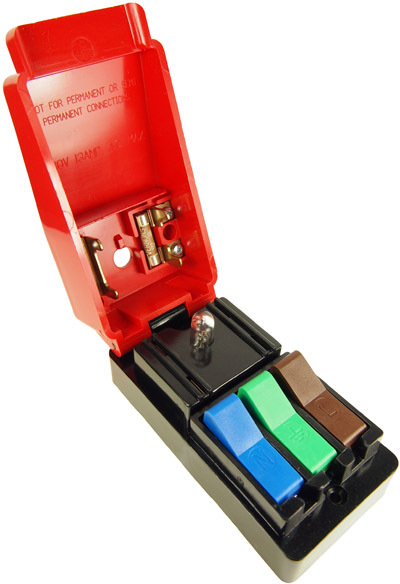 The fuse (BS 1362) is easily accessible for replacement. The connector is made of tough, safe materials. The base is phenolic moulded molded for insulation and rigidity. The lid is flame retardant glass filled thermo plastic. 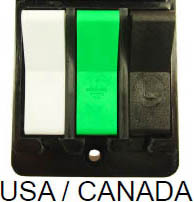 The insulated clips are colour color coded for easy identification. The flexible cable grip will take any normal mains cable. Only one small screwdriver is needed for both the base entry and the terminal screws. Size - 130mm. x 60mm. x 50mm. high. Maximum Rating - 13A 250V AC or 5A 24V DC . Weight - 245 g. (without a cable). CL1850 - Quicktest QT1 with 13A fuse and without cable. CL1853 - Quicktest QT1 with 5A fuse and 2m cable to UK plug. CL1855 - Quicktest QT1 with 5A fuse and without cable. 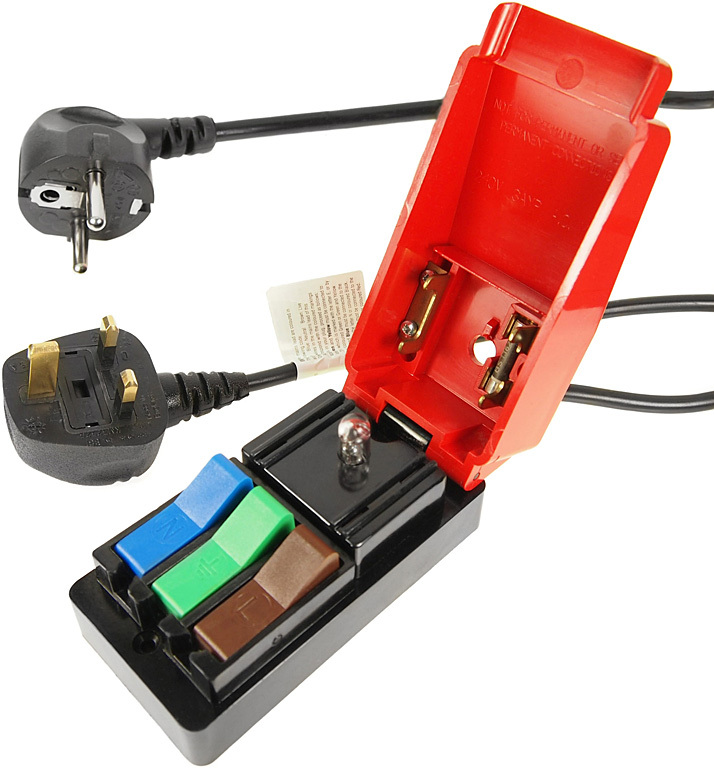 CL1856 - Quicktest QT1 with 13A fuse and 2m cable to UK plug. CL1860 - Quicktest QT1 with 5A fuse and 1.5m cable to Euro plug. CL1857 - Quicktest QT1 with 13A fuse and without cable. 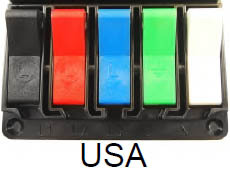 For U.S.A. and Canada. For test purposes only. Not to be used for permanent or semi-permanent connections. Always connect the earth connection for safety. Always use in conjunction with an RCD. Must be used by suitably trained and qualified personnel when making connection to the mains supply. It is the end users responsibility to ensure this device is used in a safe manner to ensure no injury is caused to operators. For technical details please see the PDF data sheet QuickTest QT1 and QT4 (opens in a new window). The Quicktest is also available with no lamp. Details are similar to the QT1, above. CL18553 - Quicktest QT4 without lamp, with black lid and without cable. CL18554 - Quicktest QT4 without lamp, with black lid, with 5A fuse and 2m cable to UK plug. CL18555 - Quicktest QT4 without lamp, with red lid and without cable. 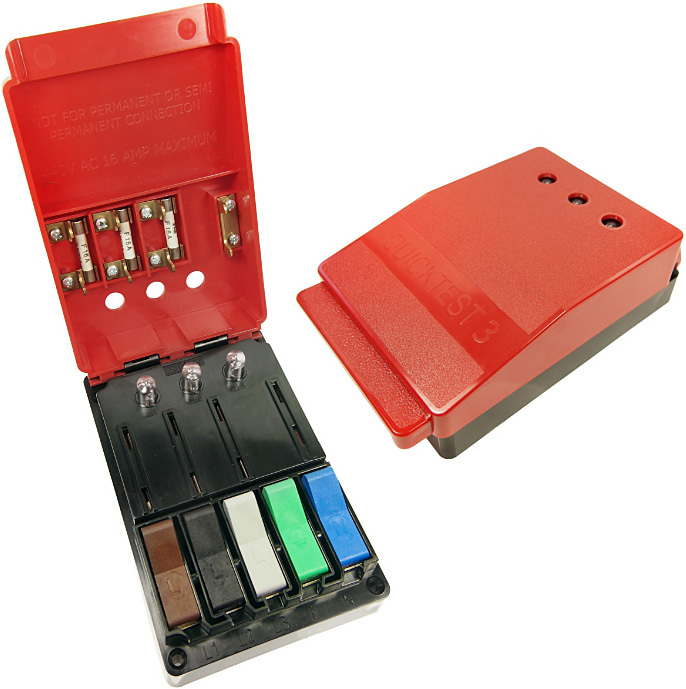 This is a compact, robust, power connector designed for temporary, safe and efficient connection of unterminated cables to 440V AC, three-phase power supplies. The QT3 has a maximum power rating of 16 amps* (see duty cycle, below). The Cliff™ QT3 is designed for use in applications including manufacturing, test and repair, calibration, measurement and burn-in. Anywhere a fast, safe and non-permanent connection to a three-phase power supply is required. Connection to the Quickest takes just a few seconds. 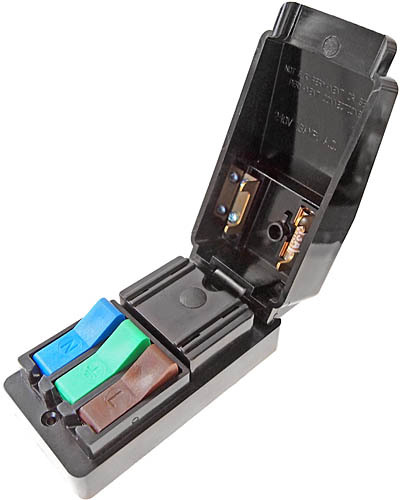 Simply open the lid, which automatically isolates the three phase supply, insert each bare cable end by pressing the five colour-codedcolor-coded piano key cable clips, and then close the lid to complete the circuit between the device being tested and the power supply. Opening the lid again isolates the supply source so the conductors can be rapidly removed. 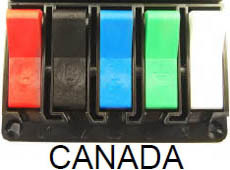 Quick-release, colour-codedcolor-coded cable clips marked L1, L2, L3, N and an Earth symbol. Each phase is protected by an individual 16 amp* fuse as standard. Each phase is fitted with an individual neon indicator lamp to indicate when the phase is live. Size (HxWxL) - 49mm. x 100mm. x 160mm. 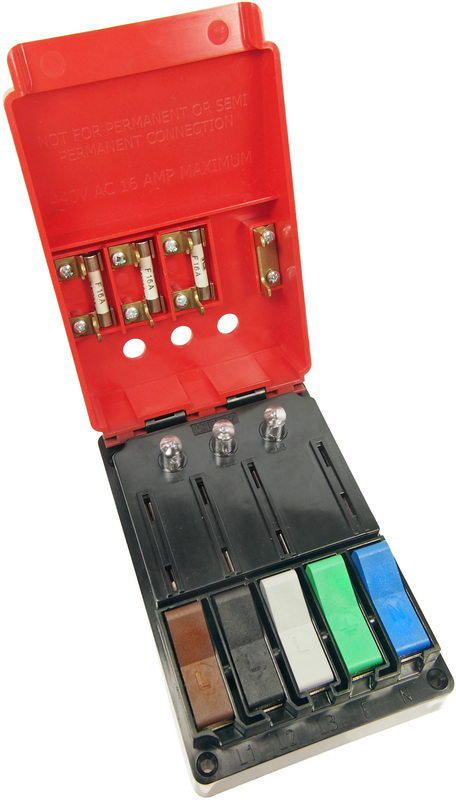 Maximum Rating - 16A* 440V AC. European Registered Design Number: 002230680-0001. 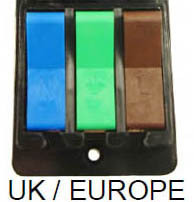 CL18303 U.K. / Europe colours.